Getting started with Keyword Research and Search Engine Optimization (SEO) can be overwhelming. Especially for entrepreneurs and small businesses owners. No, doubt SEO is a key part of successful digital client acquisition. You can get up and running quickly with some great articles from More Than Digital. But finding the right tool can be tricky. Premium tools like Ahrefs and SEMrush are a large investment. Google’s free keyword planner takes some getting used to. This is why we’re going to introduce you to a handy tool that’s easy to use and an effective way to find keywords for your SEO. What’s the name of this tool? It’s Ubersuggest! The search volume of keywords. How competitive these keywords are. Ideas for new, related keywords. And, new content ideas to help with your SEO. All results are from Google. Which means they are a good indicator of what actual people are searching for. Additionally, Ubersuggest is 100% free and easy to use and understand. By the way, I’m not associated with Ubersuggest in any way. I love the tool and want to share it with SMEs struggling to get started with SEO. So let’s get started with using Ubersuggest for basic keyword research! Okay, to get started let’s type a keyword into Ubersuggest. I’m dreaming of Summer and hamburgers today, so let’s use the term ‘Grillen’. Before we hit the ‘Search’ button, you have to select your language. That would be German/Swiss for me -and off we go. Now, we can see the monthly search volume for the keyword. How difficult it will be to rank for it via SEO. And how much the Cost-Per-Click (CPC) rate is on Google Ads. I love this feature because it helps you find long-tail keywords. Another great thing is that it helps you find new keyword opportunities. For example, I wouldn’t have thought to search for the term ‘grillparty’. If I was in the grilling business that’s definitely a potential SEO keyword that I’d investigate further. Now that the basics are covered let’s look at one of Ubersuggests more advance feature. This is handy because it allows us to asses whether we can rank content with this keyword. Looking at the results we got, I can tell that not all the results are from Swiss pages. This matters because at Swiss Digital Marketers we’ve learnt that local content always tends to rank better. What To Do With Your Keyword Information? At this point, you might be asking what you’re supposed to do with all this information. As you already know SEO is based on using the right keywords to drive traffic to your website. This is why search volume matters. But Ubersuggest doesn’t just allow you to get an idea for how much traffic you could get from a keyword. It also allows you to see what your competition is doing. Think about it. What does it mean if your competition is willing to spend money on a keyword and compete via SEO? That people are spending money on the goods and services they are offering! Furthermore, by seeing what content is ranking in the top SERPs. You also get an idea about what kind of content your target audience is looking for. You qualified the business case for using a given keyword. We now also have an idea of what sort of information potential customers are looking for. That’s a great starting point for SEO in any niche. 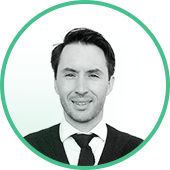 Bertrand Blancheton ist ein Digitaler Marketer der sein Handwerk als Marketing Manager und Unternehmer in der digitalen Welt erlernte. Für seine Arbeit wurde Bertrand schon mehrere male als Vordenker und ‚Top Swiss Influencer‘ anerkannt. Als Gründer der Digital Marketing Agentur «Swiss Digital Marketers» hilft er Schweizer KMUs durch sein Digital Marketing Blog und automatisierte Kundenakquisition Systeme zum online Erfolg.